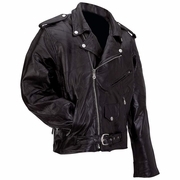 Diamond Plate (patchwork) Rock Design Genuine Buffalo Leather Motorcycle Jacket. Tough enough to take the action, warm enough for any sports outing and fashionable enough to wear all winter long. 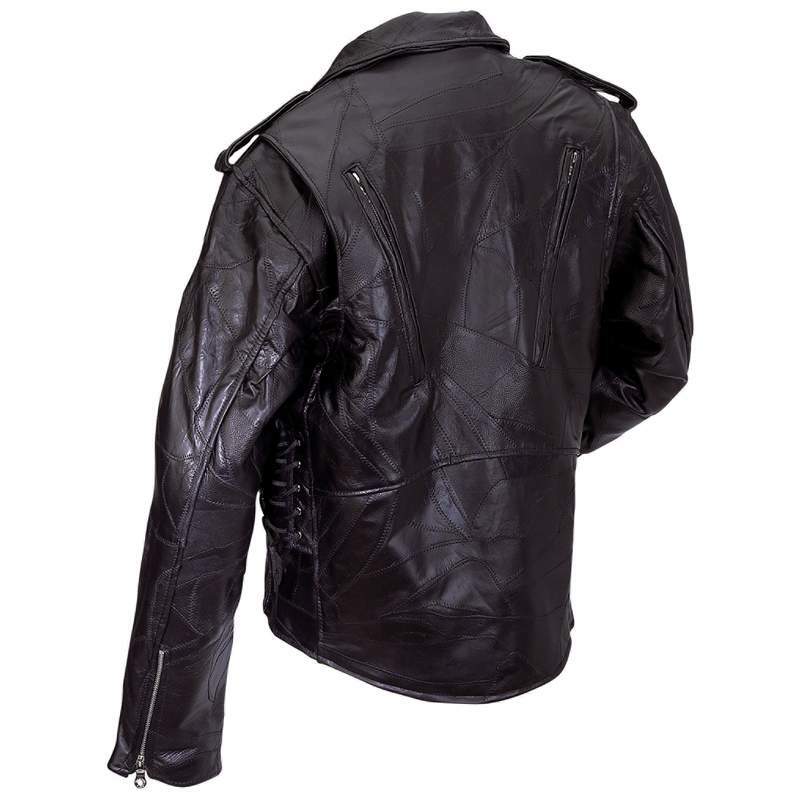 Jacket has zip out liner, silver hardware with matte buttons, zippered back vents, zippered wrist panels for covering gloves and adjustable side laces.